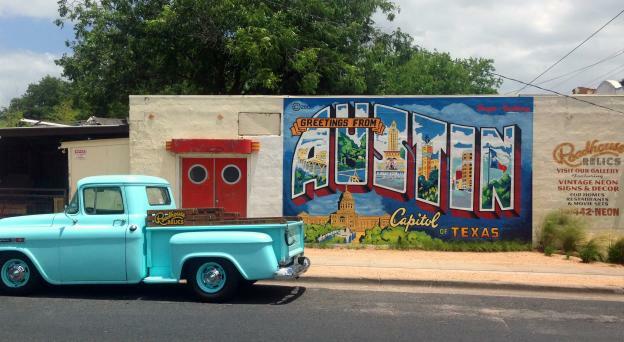 There's no better way to start your day with a (s)bark than on South Congress at First Sunday Yappy Hours! 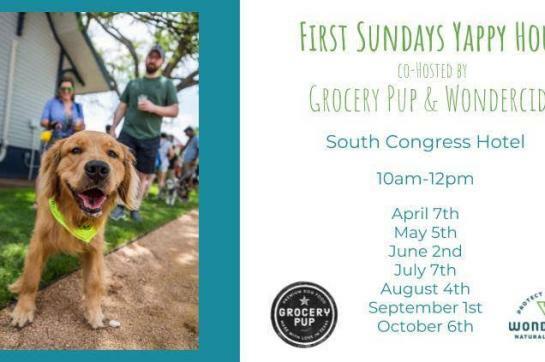 Starting in April, local brands Grocery Pup and Wondercide are cohosting Yappy Hours at South Congress Hotel every first Sunday, through October, from 10am-12pm. 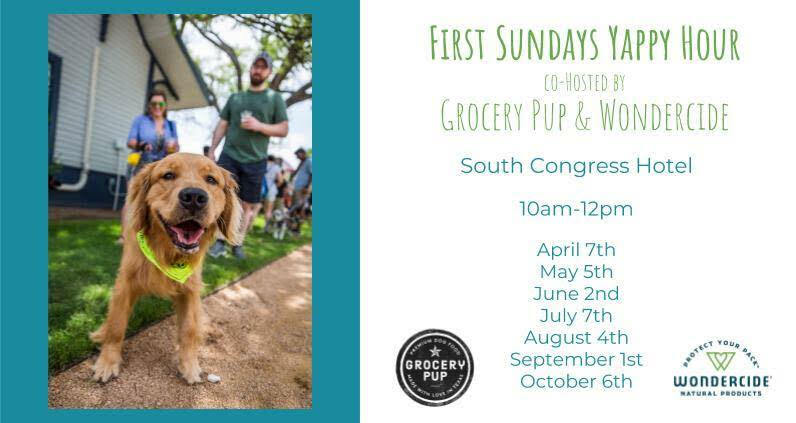 Enjoy Juice Society samples, live music by DJ Cassandra and a variety of fun pop ups from other local pup brands while your furry friend chows down on fresh Grocery Pup and is pampered with swag. 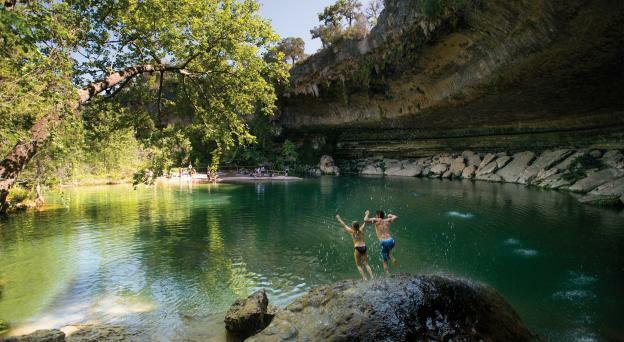 See you and your pack there!